The lovely team over at Gear Best were so kind to send me this awesome Yolanda Mini Smart Scale. 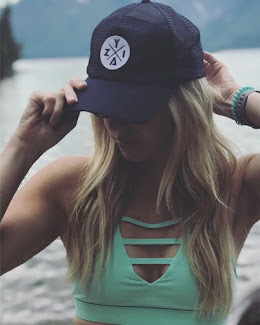 I was hesitant in the begining because I have preached over and over throughout my postpartum fitness journey to avoid the scale, that you are more than a number. Instead, be more body confident verses number confident. Though when I looked at all this scale can do I was majorly impressed and curious so I gave Gear Best the go ahead to send one my way. This scale is so much more than just a number. It has guided me through obtaining my fitness goals through monitoring all of my body data and customizing plans just for me. With the Yolanda scale I never step on and feel disappointment. Some days sure, my weight won't change but that doesn't mean my goals weren't obtained. It accurately measures and collects all 11 different physical body indexes such as muscle, bmi, water, protein etc. 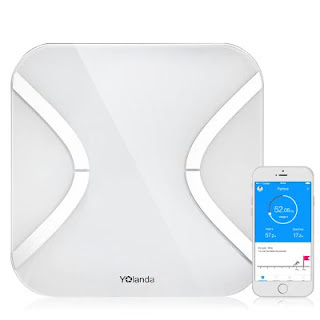 Here is my review while I have used the Yolanda Mini Smart Scale. Price - The current price on this product is $39.56 directly from the Gear Best website. I think this is an incredible bargain. You can go to a local department store and buy a basic scale for $40 bucks or you can get this all in one smart scale for less! I have been obsessed with my Yolanda scale and for this bargain price I see it as a no brainer! Quality - The smoothe, chic, tempered glass ensures product durability. It has an LED display that seamlessly blends in the scale and will turn on when you step on the scale. I have seen other smart scales go for much much more and don't even match up to the Yolanda quality. 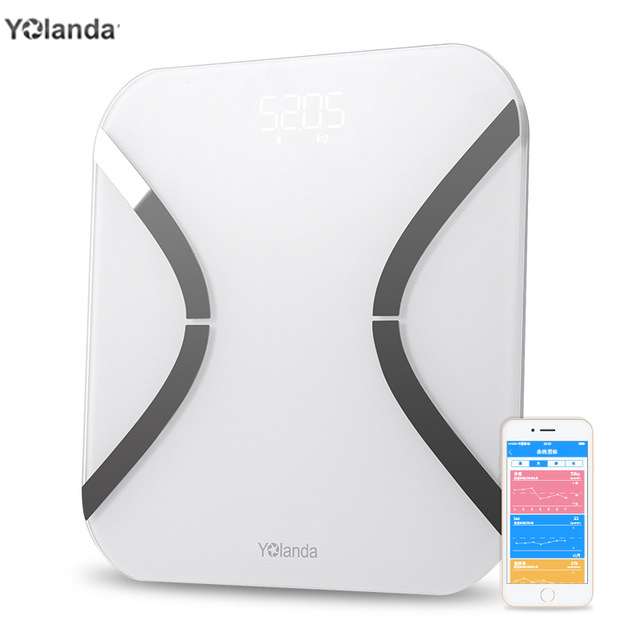 Convenience - This Yolanda Mini Smart Scale uses BIA technology to accurately measure your body weight, body fat, BMI, basal metabolism rate, muscle mass, bone mass, visceral fat level, physical age, protein, moisture mass, skeletal muscle. 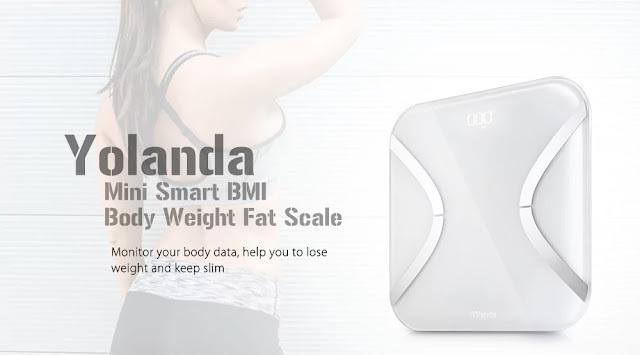 The Body Scale adopts the dual-frequency technology, which gives you the more accurate data analysis. I love that the scale connects to the free app through bluetooth. 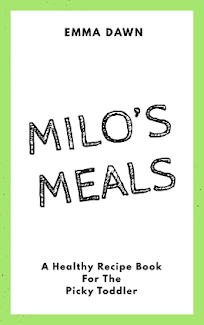 This is also a family scale so if you have multiple members of your family focusing on obtaining any sort of health goals whether that be muscle building, weight loss or gain this scale is perfect! They each can make an in app profile to monitor their achievements. Once connected to APP, you can get the customized and targeted fitness scheme, such as diet suggestions and exercise plans. Through the personalized profile, the APP records your body changes, and draws the fat rate and body weight charts to let you know when you reach your goals. Design - When I saw the word "mini" it made me think this was going to be small and dinky, but that is not this scale. This is a slim and chic design perfectly created for any bathroom. The ideal size for storing to keep your space neat and tidy. The chrome curved accents utilize the latest BIA technology, the electric current is sent through the body via the scale sensors to accurately estimate your body's stats. If you give this scale a try make sure to let me know in the comments below! The app even has the option to share your data with friends and on social media so feel free to tag me on twitter when you reach your goals! Let's not be one of those people who say, "This is the year I'm going to get healthy and lose weight" then never do! If you are at a loss for motivation one day don't do it for you, get up and do it for your kids, or take a walk for your dog. Just getting up and out a little everyday can make a huge difference! I bought the Yolanda scale. Works great but finally changed the batteries and now it’s showing up as KG instead of LBs. do you have any idea how to convert it back to pounds? Help! This Asian company has no discernible customer service. I just had the same problem EVEN though my app showed "lbs". All i did was change the settings on the app to KG, stepped on the scale, let it change it, and THEN change it back to lbs on the app, stepping on the scale a final time. Worked like a charm!